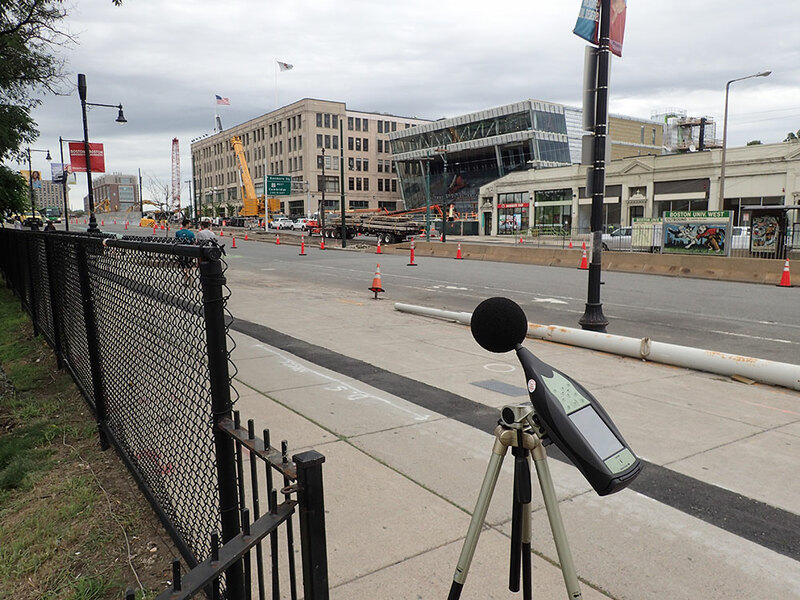 HMMH supported the construction phase of a major urban bridge project (Commonwealth Avenue Bridge Replacement Project) by monitoring noise conditions during an intensive 20-day construction phase. The construction project included the replacement of a roadway bridge located in a dense residential and commercial neighborhood. The accelerated construction required 24-hour work and equipment activity while travel in the area on light rail, commuter rail, and an interstate highway was restricted or shut down. HMMH installed 24-hour noise monitoring equipment and conducted on-site measurements during critical times to ensure that the contractor was within noise impact limits and to work cooperatively with MassDOT and the contractor if complaints were received. 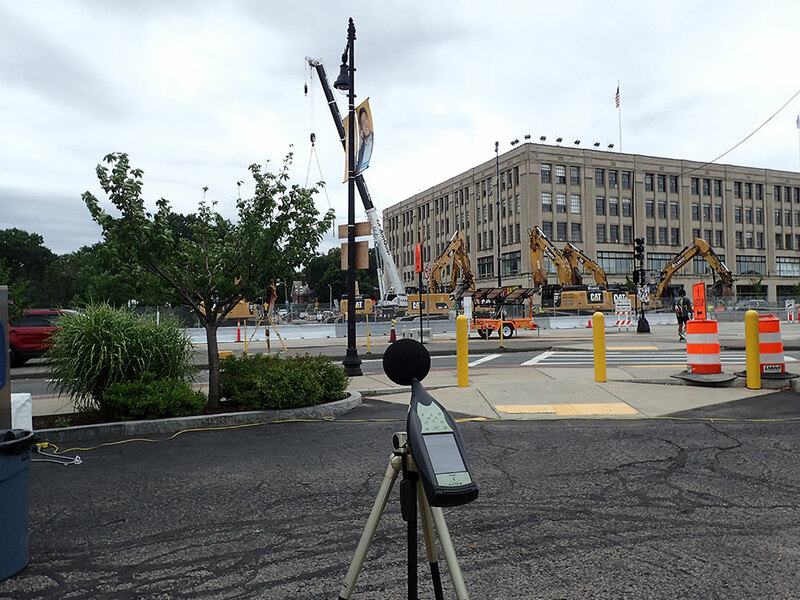 Although HMMH’s services were a late addition to the construction team, staff were excited to jump into action to establish a noise-monitoring program for this “megaproject” in the heart of a Boston crossroads.